We Do the Research. You Earn the Profits. 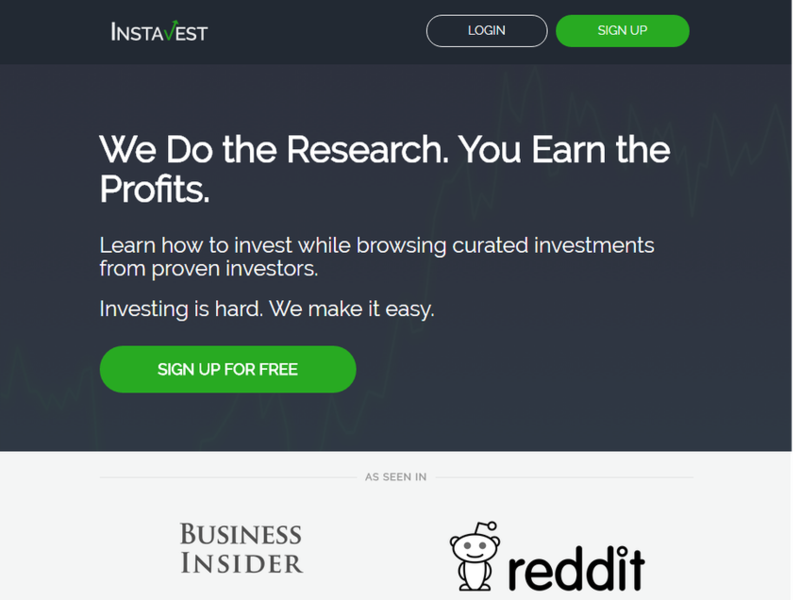 Investors can list their trades on Instavest, including the company, share amount and rationale behind the investment. Other users can invest alongside the people willing to share their own purchases and sales. Instavest encourages you to block out a portion of your profits — in the neighborhood of 5 percent — that might arise from the transaction for the original listing entity.